It’s been a busy time at Things Without headquarters. 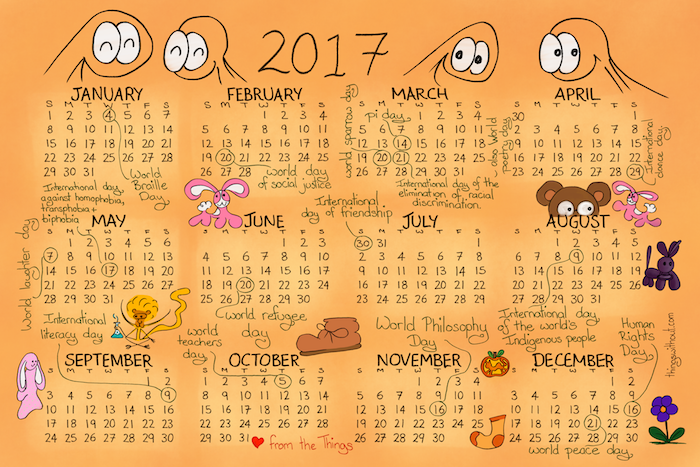 We are proud to announce that 2017 calendars are now available on Spoonflower. It’s a teatowel! It’s a reminder of just a few of the interesting days throughout the year.